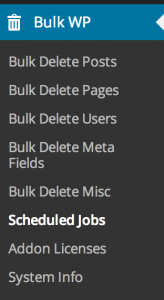 Bulk Delete is a WordPress Plugin that allows you to easily perform bulk operations like deleting posts, pages, users or custom fields based on various conditions. See the features section to find out the various operations and conditions that are supported. 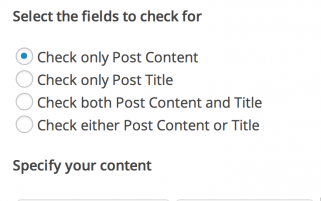 Posts can be deleted based on categories, tags, custom taxonomies, custom fields, titles, url, post status, custom post types etc. 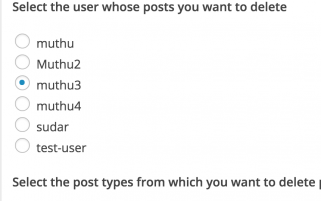 Users can be deleted based on user role or last login date. Pages can be deleted based on post status. In addition to the above conditions, lot of other filtering options are also available. 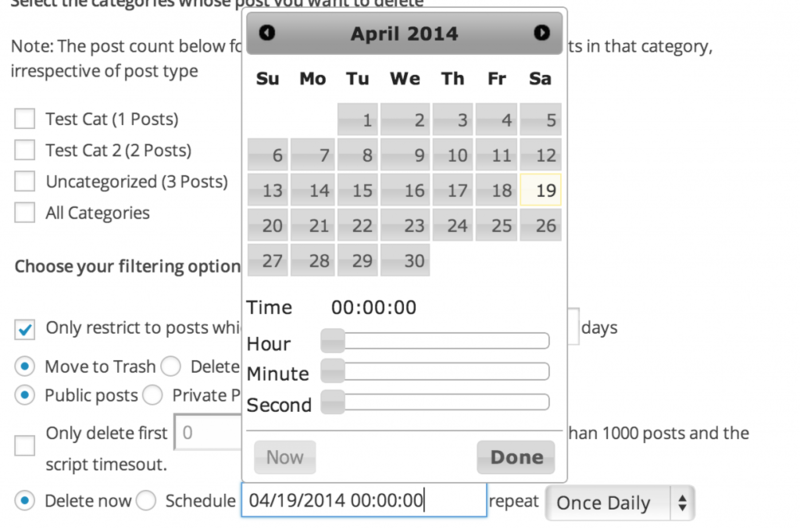 Posts can be filtered based on post creation date or post visibility and can be deleted in batches as well. 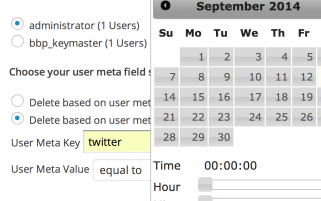 Users can be filtered based on their last login date. Pretty much all the delete operations can be scheduled to automatically run at predefined intervals. 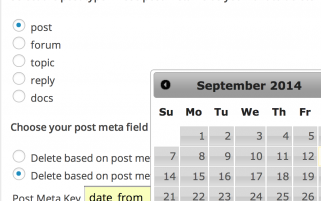 Schedules are triggered using the built-in WP-Cron. Once the schedules are created, they can be managed from the schedule list page. All the modules are easy to use install and use. 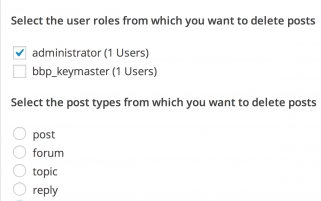 All you need to know is how to install a WordPress plugin. There are about a dozen addons available that extend the plugin and provide additional filters and functionality. The following are some of the famous addons. You can checkout the entire list in the addons page. We love our customers and we’re always glad to help you out if you have any problems with the plugin or any of its addons. We provide exceptional support and in-depth documentation to alleviate your issues as soon as possible. If you still need help or have an idea for a new feature or addon, then you can post of them in our support section. We will always do their absolute best to help you with your debug and you’ll be on your way in no time. With over 200,000 downloads, we have quite a few happy customers. The following are what some of our happy customers are saying. 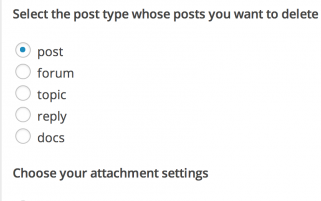 Amazing plugin that allows make simple tasks (remove posts, users etc) with an incredible amount of settings and amazing flexibility! Also it’s has great and quick support from developer. This plug-in works great and in a matter of time, the 62,000+ posts that hackers placed on my website disappeared. I received emails of encouragement from the author of the program including offers of assistance. Now I can rebuild my website from the ground up. 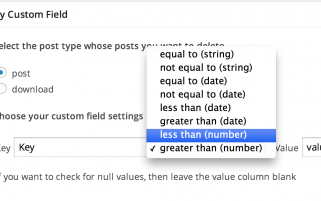 great plugin, works well and now even better for removing large number of posts. 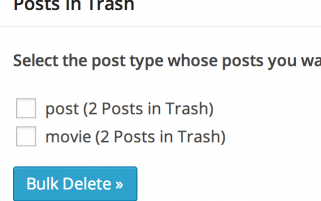 must have if u need to delete specific posts. also can remove older than x days, etc. top marks! Thanks for this! 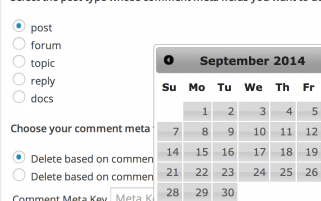 I had a calendar plugin that made posts out of each event. Got rid of the plugin, but had about 2000 posts to dump (that, unfortunately, were all categorized such that I couldn’t just do a simple MySQL dump). This has saved me hours of time of manual deletion, and worked for me without a hitch. Brilliant! So what are you waiting for? Download our plugin today and start performing bulk operations in WordPress easily. If you need any help, we are always there to help you.